Congratulations to School House who have won this year’s Junior Top House Quiz. School’s impressive team of trivia gladiators (Aabha 3J, Tom 3H, Georgia 2K, Rufus 2J, Sophia 1H, Tenny 1J) went behind early on 90-30 but stormed back to take victory. 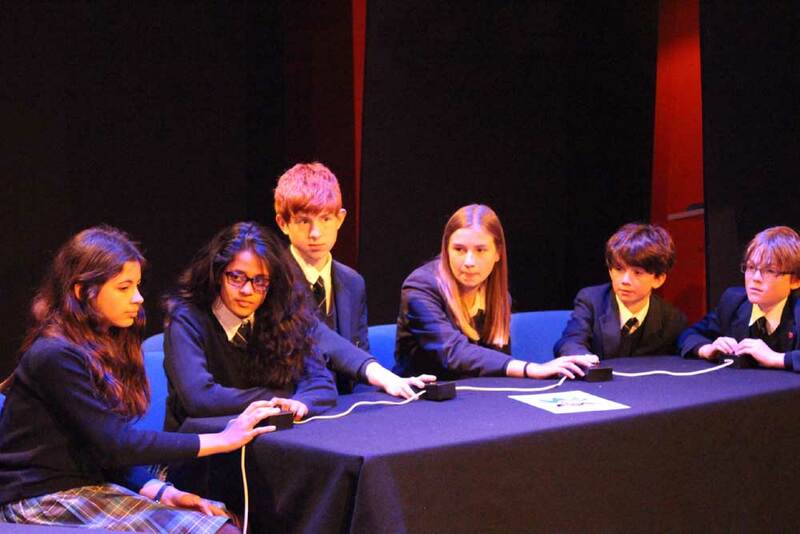 Bulging brains and razor-sharp reflexes enabled them to vanquish team Wickett in an epic battle of wits on Tuesday (210 to 160 points) to win the Lower-School Top House Quiz Competition. Smith took third place by defeating Vinter. Based on University Challenge, the Junior Top House Quiz competition was a light-hearted opportunity for some friendly rivalry between the four school houses. Question-master Mrs Stone made a fantastic host and was far chirpier than Jeremy Paxman. Dr Spring kept the scores. The two-day lunchtime event consisted of each house putting forward a team made up of one boy and one girl from each of the Year One, Year Two and Year Three age groups, resulting in six contestants per team. Questions were on a range of topics from general knowledge, to sport, literature, history, geography, popular culture (soap operas, pop music).